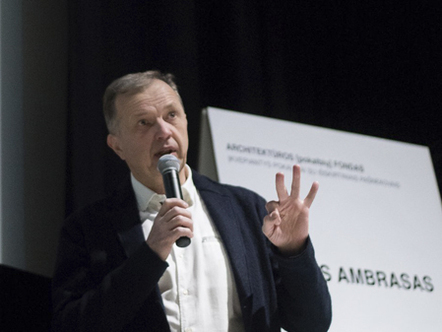 A.Ambrasas lecture "Between The Millstones" in lecture cycle "Beloved Architecture" organized by Architektūros Fondas. Architecture is not stagnant, nor eternal or music. Despite all the love, most of the buildings get old and disappear. Only the exceptional ones become loved forever. Buildings do not appear from nowhere – someone needs them. Buildings that are not only comfortable but beautiful too. In other words, they need architecture. Not only architecture does not appear from nothing. It is always somewhere. In the specific environment. And architecture is able to change it as to make it better or worse. People get used to their environment and over the time they feel attached to it. During our trip, we were pleasantly surprised by the findings of quality architecture and public spaces in Slovenian cities. Liubliana fascinated with its unique old town - Art Nouveau mixed with brutalism. 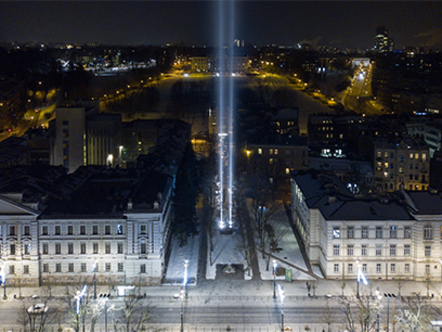 But the biggest impression was made by The Monument for Victim of all wars (architect Medprostor, 2017). North of the city we visited culturally protected landscape park which held Headquarters and the VIP Lounge for the National Football Associaton of Slovenia( ARHITEKTURA KRUŠEC, 2016 .) Following project fascinated with its meticulous landscape architecture and attention to details and materials. A long-awaited idea has been implemented - terrace for a coffee break and leisure. The patio is installed in an inner courtyard, atop of unused entrance to the basement. Thermo-treated pine boards are used for the finish. 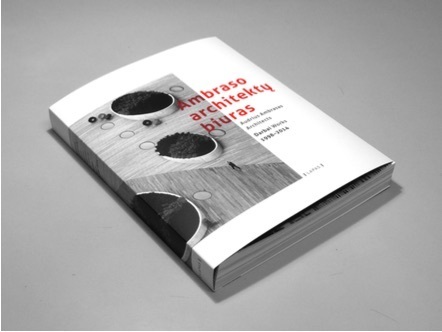 On the 15th of February, the National Prize was awarded to Audrius Ambrasas by the President of Lithuania for his sensible approach to creation of urban space and professional responsibility. 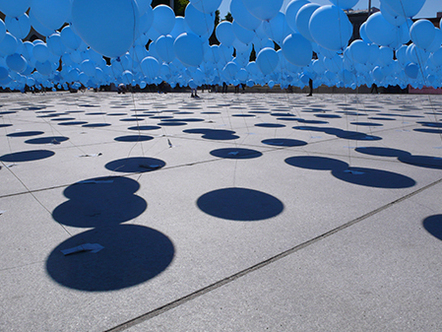 The following artists were also awarded this year: actor Vytautas Anužis, musicians Viačeslavas Ganelinas, Vladimiras Tarasovas, Vladimiras Čekasinas, painter Rūta Katiliūtė, director Gytis Lukšas, writer Valdas Papievis. 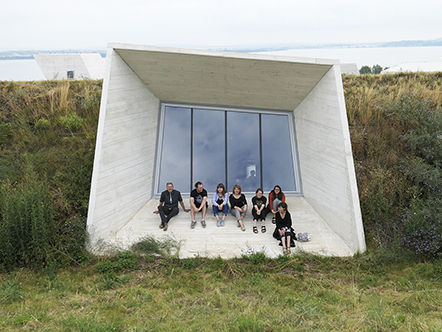 In June we set off on a trip in search for new architecture again. This time it was the neighbouring Latvia and Estonia. Town of Kuldiga and its aged wooden architecture getting along finely with the new left us under a pleasant impression, as well as the new building for the Estonian National Museum in Tartu (DGT. 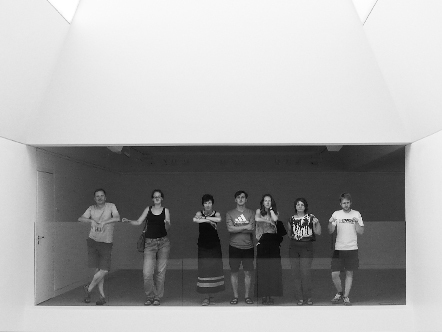 Architects, 2016) and the Narva College of Tartu University (KAVAKAVA architektai, 2012), telling the story of the place and providing a modern academic though open and free space at the same time. 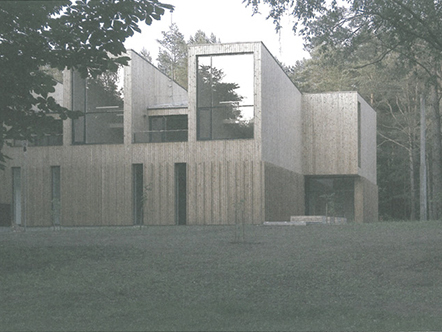 Rupert centre was selected by the international jury to represent Lithuania among 37 works of committed architecture by European architecture studios. 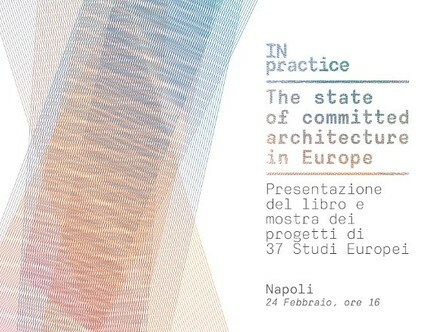 The edition was presented on the eve of the Venice Architecture Biennale 2016. 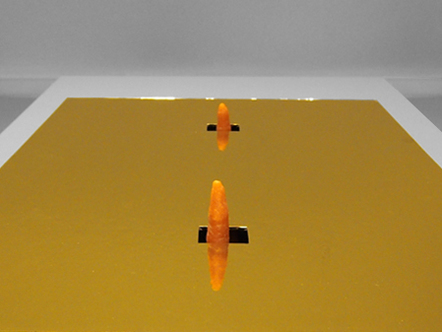 Arch-Christmas is a near-traditional event, yearly inviting architects to create and share edible architectural models. This year we took part presenting our (materially and proportionally) “golden” box of models. Many thanks to Palekas architecture studio for organising the event, friends and colleagues for the ambience and spectacles, as well as sister Asta – for the great contribution to our “kitchen-project”. From Warsaw's stalinist setting of the Palace of Culture and Science to Oder's riverbanks in Szczecin - the office trip to Poland was accompanied by astonishment and raptures for the neighbors' regard towards the public spaces in cities. The new pieces of architecture visited, such as the Shakespearean Theatre in Gdansk (architect Renato Rizzi, 2014) and the new Szczecin's Philharmonic Hall (Barozzi Veiga Architects, 2014) evoked admiration as well. The European Centre of Solidarity (FORT Architects, 2014) in Gdansk, the SOHO Factory quarter and POLIN Museum of the History of Polish Jews in Warsaw (Lahdelma & Mahlamäki Architects, 2013) were also among the works visited. 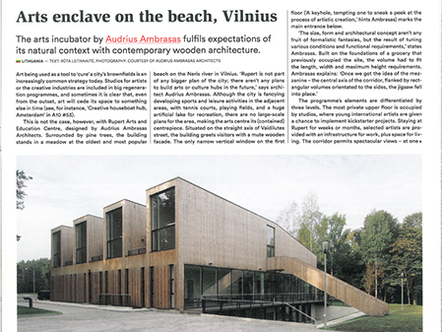 "Art incubator kick-starts Vilnius beach,"
"The arts incubator by Audrius Ambrasas fulfills expectations of its natural context with contemporary wooden architecture,"
...and more at A10, #64. The exhibition tells the story of 21 project, illustrated by photographs of models. Photographs of skech models reflect the process of the search for a form. 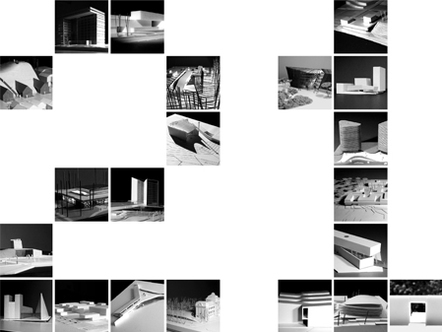 Sometimes the model is the end of the project, but pictures of them remain as a memory. It is not possible to preserve all models, especially working ones, but photographs of them are kept in archives. Browsing through them helps us to recall the projects. 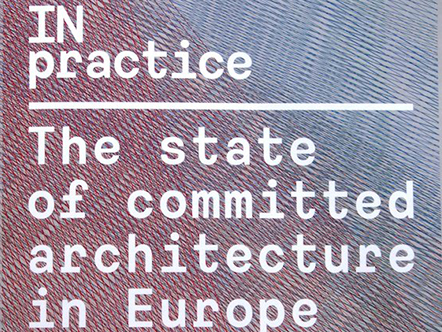 "Thinkers on the Neris beach: Rupert centre in Vilnius invites to try new forms of artistic co-operation,"
- says the headline of an article on Rupert in Modernists magazine, #2. "The free area forming under the impressive roof panel constitutes the essence of the comparatively simple yet pure and elegant concept. 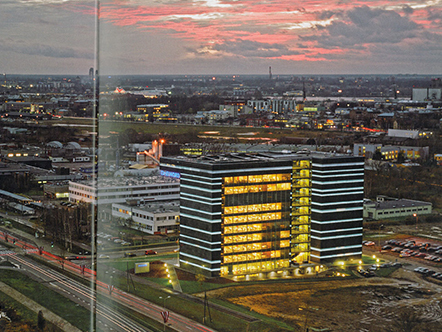 This interspace is an attempt to merge a borderline between interior and exterior, creating a homely environment, a comfortable and flowing transition from outdoors to indoors,"
- says an article on DnB Bank headquarters in "Latvijas Architektūra", #92. 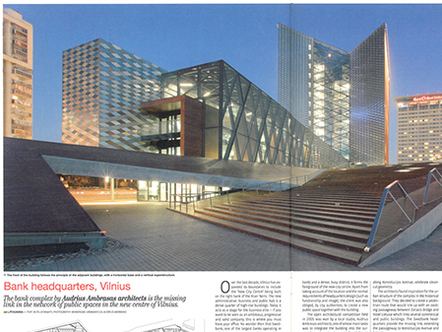 "The bank complex by Audrius Ambrasas architects is the missing link in the network of public spaces in the new centre of Vilnius,"
- says an article on Swedbank in A10 issue #31. 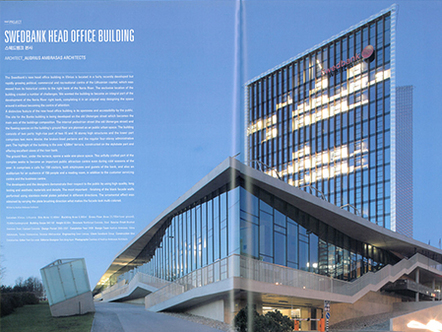 "A distinctive feature of the new head office building is its openness and accessibility to the public,"
- says an article on Swedbank in Architecture & Culture, #345. "The internal pedestrian street and the flowing spaces on the building's ground floor are planned as a public urban space,"
"The ground floor, under the terrace, opens a wide one-piece space. 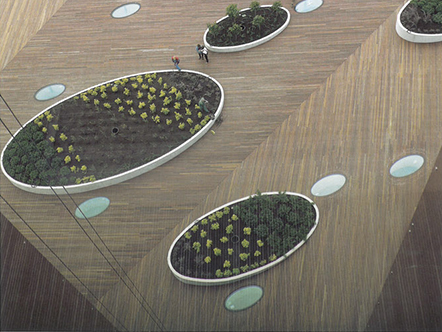 This artfully crafted part of the complex seeks to become an important public attraction centre even during cold seasons of the year,"
- says an article on Swedbank in C3 magazine, #308.